Essential urban infrastructure will be increasingly compromised by interrelated climate change impacts. The nation’s economy and security depend on the resilience of urban infrastructure systems. Some cities have begun to incorporate climate change into their planning. Explore impacts to urban systems and infrastructure. Climate change poses a series of interrelated challenges to the country’s most densely populated places: its cities. The United States is highly urbanized, with about 80% of its population living in cities and metropolitan areas. Many cities depend on infrastructure, like water and sewage systems, roads, bridges, and power plants, that is aging and in need of repair or replacement. Rising sea levels, storm surges, heat waves, and extreme weather events will compound these issues, stressing or even overwhelming these essential services. Cities have become early responders to climate change challenges and opportunities due to two simple facts: first, urban areas have large and growing populations that are vulnerable for many reasons to climate variability and change; and second, cities depend on extensive infrastructure systems and the resources that support them. 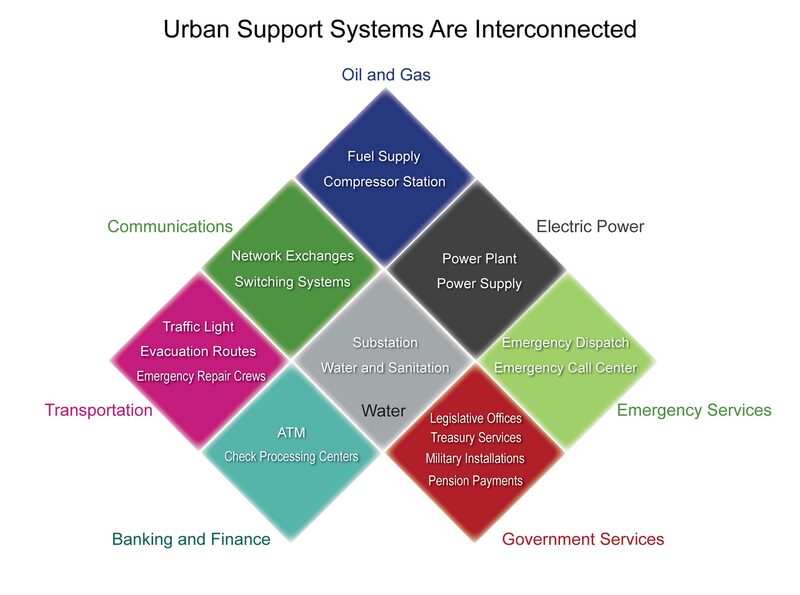 These systems are often connected to rural locations at great distances from urban centers. Heavy snowfalls during winter storms affect transportation systems and other urban infrastructure. The term infrastructure is used broadly and includes systems and assets that are essential for national and economic security, national public health or safety, or to the overall well-being of residents. These include energy, water and wastewater, transportation, public health, banking and finance, telecommunications, food and agriculture, and information technology, among others. 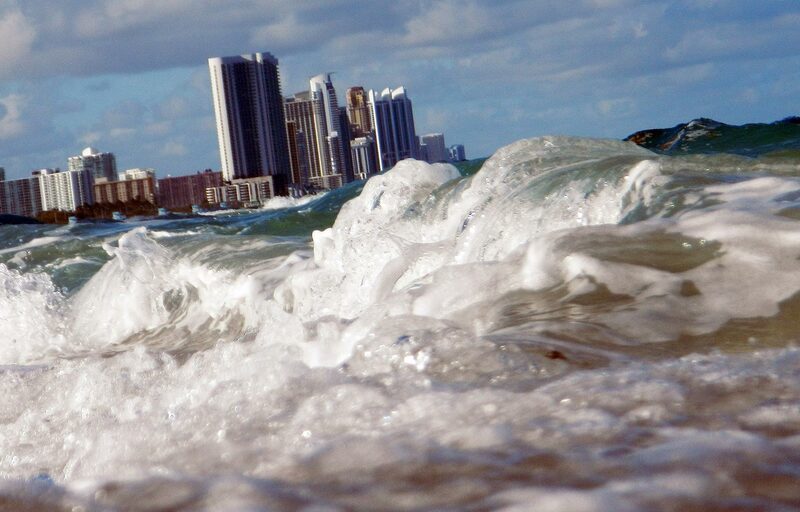 Coastal cities are vulnerable to sea level rise, storm surge and related impacts. As climate change impacts increase, climate-related events will have large consequences for significant numbers of people living in cities or suburbs. Also at risk from climate change are historic properties and sites as well as cultural resources and archeological sites. Vulnerability assessments and adaptation planning efforts could also include these irreplaceable resources. Changing conditions also create opportunities and challenges for urban climate adaptation (Ch. 28: Adaptation), and many cities have begun planning to address these changes. In developing key messages, the report author team engaged in multiple technical discussions via teleconference. A consensus process was used to determine the final set of key messages, which are supported by extensive evidence documented in two Technical Report Inputs to the National Climate Assessment on urban systems, infrastructure, and vulnerability: 1) Climate Change and Infrastructure, Urban Systems, and Vulnerabilities: Technical Report for the U.S. Department of Energy in Support of the National Climate Assessment 1, and 2) U.S. Cities and Climate Change: Urban, Infrastructure, and Vulnerability Issues.2 Other Technical Input reports (56) on a wide range of topics were also received and reviewed as part of the Federal Register Notice solicitation for public input. Given that population trends and infrastructure assessments are well established and documented, the largest uncertainties are associated with the rate and extent of potential climate change. Given the evidence base and remaining uncertainties, confidence is very high that climate change and its impacts threaten the well-being of urban residents in all regions of the U.S. Given the evidence base and remaining uncertainties, confidence is very high that essential local and regional infrastructure systems such as water, energy supply, and transportation will increasingly be compromised by interrelated climate change impacts. Direct and interacting effects of climate change will expose people who live in cities across the United States to multiple threats. Climate changes affect the built, natural, and social infrastructure of cities, from storm drains to urban waterways to the capacity of emergency responders. Climate change increases the risk, frequency, and intensity of certain extreme events like intense heat waves, heavy downpours, flooding from intense precipitation and coastal storm surges, and disease incidence related to temperature and precipitation changes. The vulnerability of urban dwellers multiplies when the effects of climate change interact with pre-existing urban stressors, such as deteriorating infrastructure, areas of intense poverty, and high population density. Three fundamental conditions define the key connections among urban systems, residents, and infrastructure.2,1 First, cities are dynamic, and are constantly being built and rebuilt through cycles of investment and innovation. Second, infrastructure in many cities has exceeded its design life and continues to age, resulting in an increasingly fragile system. At both local and national levels, infrastructure requires ongoing maintenance and investment to avoid a decline in service. Third, urban areas present tremendous social challenges, given widely divergent socioeconomic conditions and dynamic residence patterns that vary in different parts of each city. 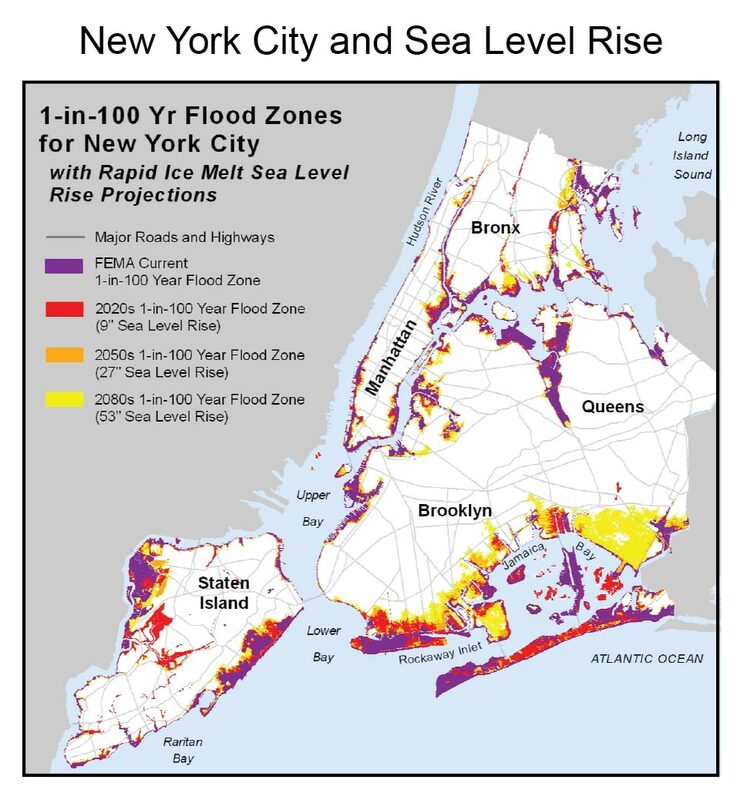 Heightened vulnerability of coastal cities and other metropolitan areas that are subject to storm surge, flooding, and other extreme weather or climate events will exacerbate impacts on populations and infrastructure systems. Recent work has delved deeper into the interconnectivity of urban systems and infrastructure,1,17 and has expressed the importance of understanding these interactions when adapting to climate change. The extensive number of infrastructure assessments has resulted in system interdependencies and cascade effects being well documented. Therefore, the most significant uncertainties are associated with the rate and extent of potential climate change. Given the evidence base and remaining uncertainties, confidence is very high that in urban settings, climate-related disruptions of services in one infrastructure system will almost always result in disruptions in one or more other infrastructure systems. 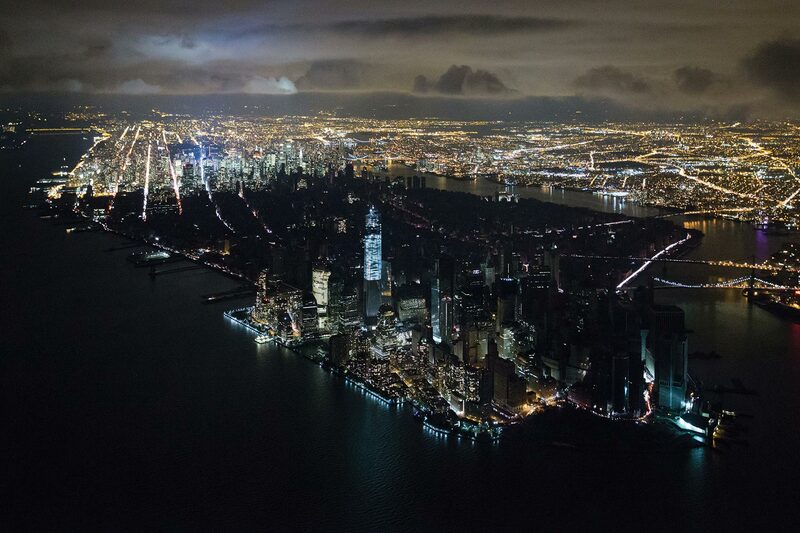 A failure of the electrical grid can affect everything from water treatment to public health. The nation's busiest subway system sustained the worst damage in its 108 years of operation on October 29, 2012, as a result of Hurricane Sandy. Millions of people were left without service for at least one week after the storm, as the Metropolitan Transportation Authority rapidly worked to repair extensive flood damage. Sandy made landfall on the New Jersey shore just south of Atlantic City on October 29, 2012, and became one of the most damaging storms to strike the continental United States. Sandy affected cities throughout the Atlantic seaboard, extending across the eastern United States to Chicago, Illinois, where it generated 20-foot waves on Lake Michigan and flooded the city’s Lake Shore Drive. The storm’s strength and resulting impact has been correlated with Atlantic Ocean water temperatures near the coast that were roughly 5°F above normal, and with sea level rise along the region’s coastline as a result of a warming climate. The death and injury, physical devastation, multi-day power, heat, and water outages, gasoline shortages, and cascade of problems from Sandy’s impact reveal what happens when the complex, integrated systems upon which urban life depends are stressed and fail. One example is what occurred after a Consolidated Edison electricity distribution substation in lower Manhattan ceased operation at approximately 9 PM Monday evening, when its flood protection barrier (designed to be 1.5 feet above the 10-foot storm surge of record) was overtopped by Sandy’s 14-foot storm surge. As the substation stopped functioning, it immediately caused a system-wide loss of power for more than 200,000 customers. 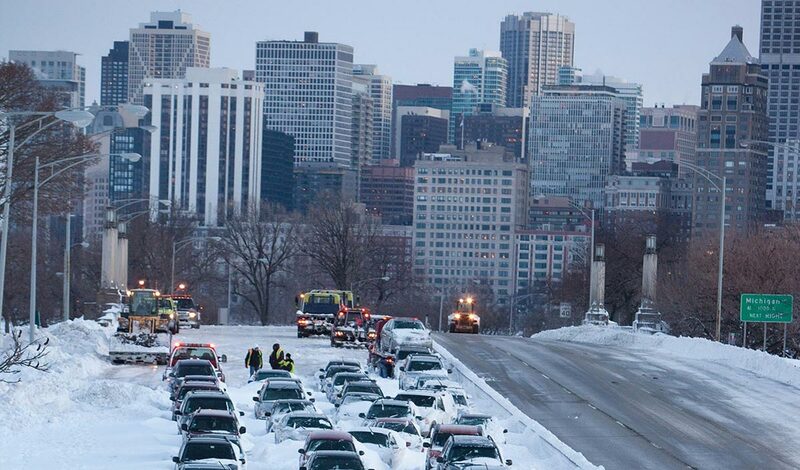 Residents in numerous high-rise apartment buildings were left without heat and lights, and also without elevator service and water (which must be pumped to upper floors). Sandy also highlighted the vast differences in vulnerabilities across the extended metropolitan region. Communities and neighborhoods on the coast were most vulnerable to the physical impact of the record storm surge. Many low- to moderate-income residents live in these areas and suffered damage to or loss of their homes, leaving tens of thousands of people displaced or homeless. As a specific sub-population, the elderly and infirm were highly vulnerable, especially those living in the coastal evacuation zone and those on upper floors of apartment buildings left without elevator service. These individuals had limited adaptive capacity because they could not easily leave their residences. Even with the extensive devastation, the effects of the storm would have been far worse if local climate resilience strategies had not been in place. For example, the City of New York and the Metropolitan Transportation Authority worked aggressively to protect life and property by stopping the operation of the city’s subway before the storm hit and moving the train cars out of low-lying, flood-prone areas. 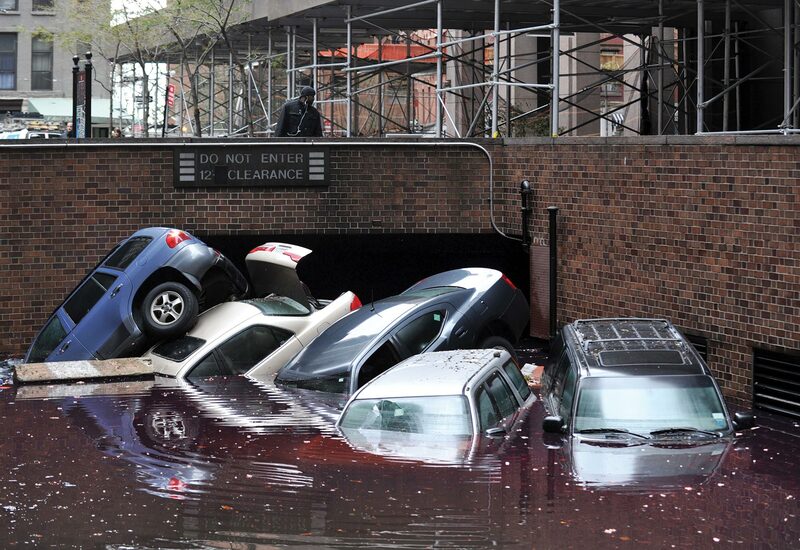 At the height of the storm surge, all seven of the city’s East River subway tunnels flooded. Catastrophic loss of life would have resulted if there had been subway trains operating in the tunnels when the storm struck. The storm also fostered vigorous debate among local and state politicians, other decision-makers, and stakeholders about how best to prepare the region for future storms. Planning is especially important given the expectation of increases in flood frequency resulting from more numerous extreme precipitation events and riverine and street level flooding, and coastal storm surge flooding associated with accelerated sea level rise and more intense (yet not necessarily more numerous) tropical storms. Given that population trends and socioeconomic factors associated with vulnerability and adaptive capacity are well established and documented, the largest uncertainties are associated with the rate and extent of potential climate change. Recent work has addressed the social vulnerabilities to climate change at a more detailed level than in the past,27,33 providing information on the constraints that social vulnerabilities can have on climate change adaptation. Given the evidence base and remaining uncertainties, confidence is very high that the climate vulnerability and adaptive capacity of urban residents and communities are influenced by pronounced social inequalities that reflect age, ethnicity, gender, income, health, and (dis)ability differences. The urban elderly are particularly sensitive to heat waves. They are often physically frail, have limited financial resources, and live in relative isolation in their apartments. They may not have adequate cooling (or heating), or may be unable to temporarily relocate to cooling stations. This combination led to a significant number of elderly deaths during the 1995 Chicago heat wave.35 Similarly, the impacts of Hurricane Katrina in New Orleans illustrated profound differences based on race, gender, and class where these social inequalities strongly influenced the capacity of residents to prepare for and respond to the events.36,37,38 It is difficult to assess the specific nature of vulnerability for particular groups of people. Urban areas are not homogeneous in terms of the social structures that influence inequalities. Also, the nature of the vulnerability is context specific, with both temporal and geographic determinants, and these also vary between and within urban areas. Given the evidence base and remaining uncertainties, confidence is very high that city government agencies and organizations have started urban adaptation efforts that focus on infrastructure systems and public health. Cities either develop separate strategic adaptation plans39,40 or integrate adaptation into community or general plans (as have Seattle, Washington; Portland, Oregon; Berkeley, California; and Homer, Alaska) (Ch. 28: Adaptation).2 Some climate action plans target certain sectors like critical infrastructure,28,41,42,43,44 and these have been effective in diverse contexts ranging from hazard mitigation and public-health planning to coastal-zone management and economic development. Cities have employed several strategies for managing adaptation efforts. For example, some approaches to climate adaptation planning require both intra- and inter-governmental agency and department coordination (see “New York City Climate Action”) (Ch. 28: Adaptation). As a result, many cities focus on sharing information and examining what aspects of government operations will be affected by climate change impacts in order to gain support from municipal agency stakeholders and other local officials.45 Some cities also have shared climate change action experiences, both within the United States and internationally, as is the case with ongoing communication between decision-makers in New York City and London, England. producing adaptation assessment guidelines that recognize the need for flexibility to reassess and adjust strategies over time. The guidelines include a risk matrix and prioritization framework intended to become integral parts of ongoing risk management and agency operations. Coordinating efforts across many jurisdictional boundaries is a major challenge for adaptation planning and practice in extended metropolitan regions and associated regional systems (Ch. 28: Adaptation). Regional government institutions may be well suited to address this challenge, as they cover a larger geographic scope than individual cities, and have potential to coordinate the efforts of multiple jurisdictions.2 California already requires metropolitan planning organizations to prepare Sustainable Communities Strategies (SCS) as part of the Regional Transportation Plan process.69 While its focus is on reducing emissions, SCS plans prepared to date have also introduced topics related to climate change impacts and adaptation.70,71,72 Examples of climate change vulnerabilities that could benefit from a regional perspective include water shortages, transportation infrastructure maintenance, loss of native plant and animal species, and energy demand.